Peter Pan’s Flight is our choice for #Day3 in our #DisneyWorldCountdown! Where does it rank in your list? Peter Pan’s Flight is perhaps one of the best examples of forced perspective in all of Disney. I know that Main Street, USA is a great example of the concept of forced perspective, which is where the buildings at the entrance to the Magic Kingdom are taller than the buildings at the end of Main Street, USA, over by Cinderella Castle. By doing this, your mind gets the impression that Cinderella Castle is miles away, that it is so far away that your journey will take some time to get there. Then, when you are getting ready to leave and are about to walk down Main Street, USA, the bigger buildings near Town Square suggest that it won’t take any time at all to get to the exit at the end of a long day of walking. Peter Pan’s Flight, in my opinion, is another great example of forced perspective. Where else can you get into your flying galleon, enter into the bedroom, and as you exit, you are instantly skyward, with incredible views of the London city below you? Like many of the great Disney attractions, Peter Pan’s Flight does an incredible job of leaving Florida behind, of even leaving the Magic Kingdom behind, and all of a sudden, you are drawn right into the incredible story of Peter, Wendy, Michael, and John and their adventures. Our friendly Cast Member is putting the finishing Pixie Dust touches on this Galleon! 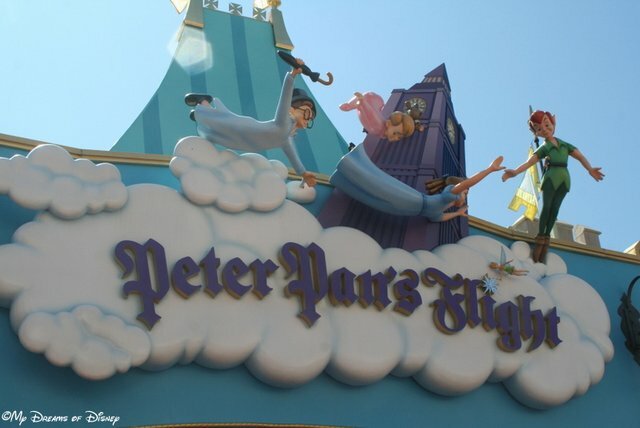 Peter Pan’s Flight is a must see attraction every visit to Walt Disney World for my family. What about your family? 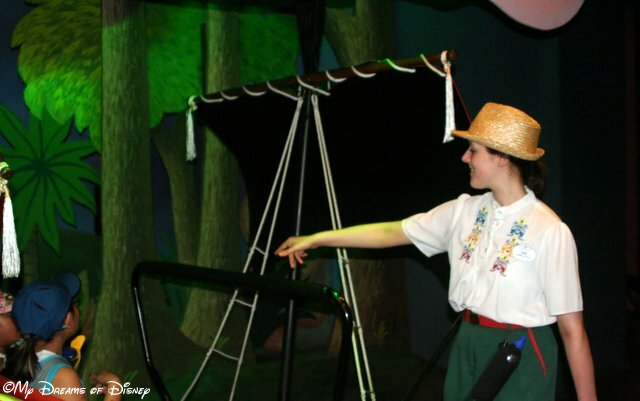 Also, if you had to rank your favorite Disney attractions, where would Peter Pan’s Flight sit and why? Let me know in the comments, and thanks for stopping by! Our Favorites: Peter Pans Flight!